As many as 51 Indian fishermen from Tamil Nadu, who were languishing in Sri Lankan prisons, were released today. RAMESWARAM: As many as 51 Indian fishermen from Tamil Nadu, who were languishing in Sri Lankan prisons, were released today as per a decision taken at a high-level meeting between the two countries earlier this week. While 39 of the fishermen were produced before a court in Jaffna, the remaining 12 were produced before a court in Vavuniya, before being released. They were later handed over to the Indian Deputy High Commission at Jaffna, Rameswaram Fishermen's Association representative P Sesuraja said. 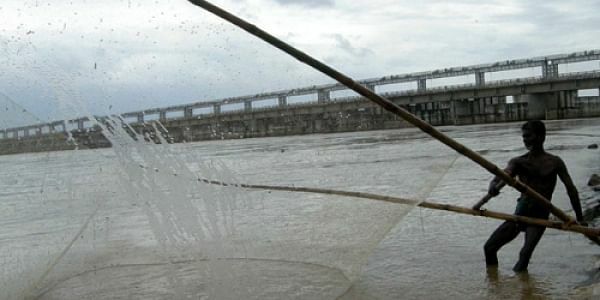 During an India-Lanka ministerial-level talk on fishermen held in Colombo earlier this week, it was decided that Sri Lanka will release 51 Indian fishermen, while three of their Lankan counterparts will be freed by India.